Single, white flowers bordered with rose-red, produced in October/November. Vigorous, upright, open habit. Prefers a sunny, sheltered position. Thank you for the prompt delivery of a Camellia that was in excellent health and packaged such that no damage could occur during transit. the attention paid was a very much better standard than other nurseries I have purchased from. Keep it up. You will see me again. 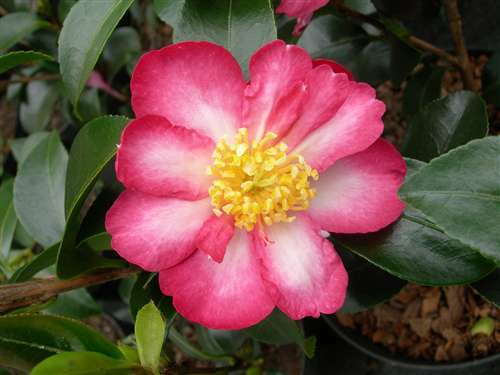 The packaging was superb, the delivery time was very quick and most importantly the camellias were very healthy, and in bud/flower. I will be placing my second order very soon for my spring flowering Japonicas!